It is estimated between 45,000 to 100,000 hospital patients in the United States die each year from medical malpractice. That is between nearly 123 to 230 deaths per day. By comparison, the number of breast cancer deaths is about 42,000 per year and about 44,000 traffic accident fatalities per year. As an experienced Chicago medical malpractice law firm, we have handled many types of medical malpractice cases, covering a multitude of injuries. Victims of medical malpractice may suffer brain injury, lifelong paralysis, birth injuries such as cerebral palsy, loss of limbs and lifelong pain and suffering. Medical negligence occurs when a doctor or other healthcare professional fails to properly treat a patient and the improper treatment causes the patient to suffer an injury. This is known as a deviation from the standard of care. To win a medical malpractice case, you need to prove that the medical provider deviated from the standard of care and you were damaged as a result. Medical malpractice cases are especially hard fought and almost always involve litigation, in which a lawsuit must be filed. In order to establish a deviation from the standard of care, an experienced Chicago medical malpractice lawyer must hire medical experts in similarly situated medical specialties to the ones we sue to testify. Hiring good, highly competent expert witnesses is vital to the success of a medical malpractice case. In Illinois, the Code of Civil Procedure requires our firm to hire a medical expert before a lawsuit can be filed to specifically identify in a report what the medical malpractice (deviation from standard of care) was and that a meritorious case a medical malpractice exists. This requirement is found at 5/2-622 of the Illinois Code of Civil Procedure. In addition to hiring experts to establish a deviation from the standard of care, medical experts are also necessary to establish “proximate cause”. Proximate cause is the relationship between the deviation from the standard of care and the damage caused by it. Without this testimony either from a hired expert or from the victim's own treating doctor, you cannot win a medical malpractice case. Of course, hiring these experts is expensive and requires hiring a Chicago medical malpractice lawyer with sufficient resources to fund the case. The out-of-pocket costs to pursue a medical malpractice case can be extensive. It is not unusual to spend $50,000 to $200,000 and more in out-of-pocket costs to pursue a medical malpractice case. This high cost makes it impossible to pursue small injury medical malpractice cases. Unfortunately, doctors, nurses, hospitals, other medical facilities and their medical malpractice insurance carriers know this and force litigation in almost all cases. It is important to hire a Chicago medical malpractice lawyer who is experienced, who can accurately review your case to make sure one exists and can afford to handle the extensive costs necessary to pursue your serious medical malpractice case. The sad reality is that most victims of medical malpractice, including injured victims and surviving family members, never realize they were victimized. The medical profession has practiced a cloak of secrecy for a long time. As soon as an event occurs, many medical professional seek to hide the errors to limit their risk. Hospital risk management teams swoop in, trying to suppress evidence and “limit the risk”. Only a small percentage, about 15% of medical mistakes resulted in a lawsuit being pursued. 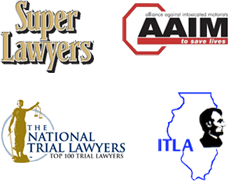 If you or a loved one has been a victim of medical malpractice, it is important to have and experienced Chicago medical malpractice attorney on your side. With years' of experience handling medical malpractice cases, Nemeroff Law Offices has the knowledge and resources to appropriately litigate your claim in order to obtain justice.